In 1970, Jeffrey Kagel walked away from the American dream of rock ‘n’ roll stardom, turning down the chance to record as lead singer for the band soon-to-be the Blue Oyster Cult. Instead, he sold all his possessions and moved from the suburbs of Long Island to the foothills of the Himalayas in search of happiness and a little-known saint named Neem Karoli Baba. 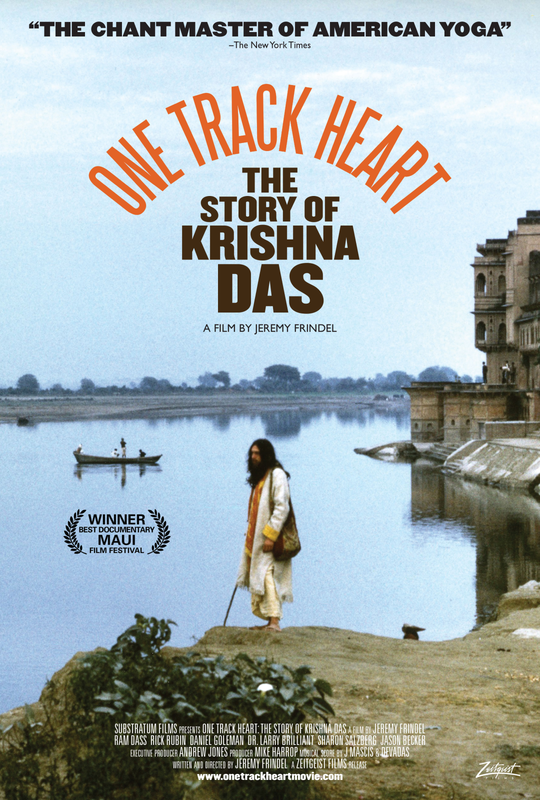 ONE TRACK HEART: THE STORY OF KRISHNA DAS follows his journey to India and back, witnessing his struggles with depression and drug abuse, to his eventual emergence as Krishna Das, world-renowned spiritual teacher and Grammy nominated chant master. Featuring interviews with Ram Dass (LSD Icon Richard Alpert), Rick Rubin (Grammy Award winning Producer), Sharon Salzberg (NY Times bestselling author), Daniel Goleman (two-time Pulitzer Prize nominee), and many others. Musical score by J Mascis (Dinosaur Jr) & Devadas.